In a move to further cement Oppo’s dominion over the entry level market, today, March 10, they’ve released the Oppo A71 2018 at an unbelievable Php 7,990. The A71 uses a 16:9 aspect screen which allows the manufacturer to bring down the cost for the consumers further than even the A83 ever was. It houses a Snapdragon 450 with a 13MP/5MP main/front camera configuration in a sleek 5.2” body. It runs Android N out of the box and brings with it the same AI Beauty technology the brand is very well known for. You should be able to find the A71 in Oppo concept stores nationwide starting today. 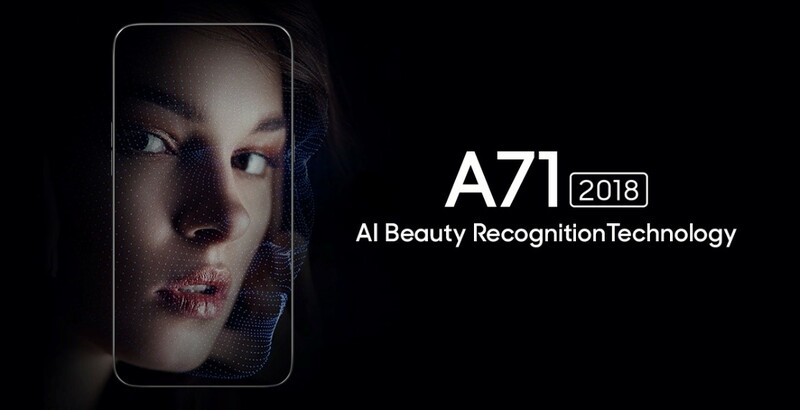 The A71 provides consumers the most affordable access to Oppo’s proprietary AI Beauty technology supported by a very capable chipset. 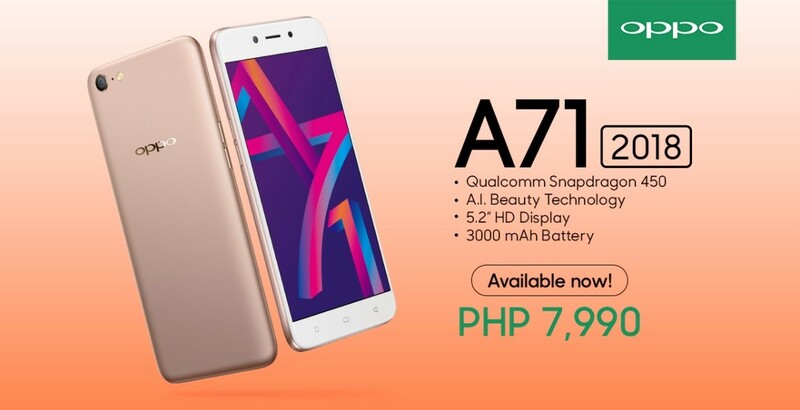 Manila, Philippines (March 09, 2018) – OPPO Philippines strengthens its entry-level smartphone offering with the new OPPO A71 2018, carrying a mid-range class processor and includes OPPO’s A.I. Beauty Technology for Php7,990. Equipped with a Qualcomm Snapdragon 450 octa-core processor found in smartphones at the mid-range level, the A71 2018 elevates the standard of speed and battery efficiency in its price point. Selfies will never be the same with the A.I. Beauty Technology infused in the 5MP front camera, for this allows more personalized selfie experience by analyzing the subject’s face in more than 220 facial points. Similar with the OPPO F5, the A71 2018 can also detect the skin tone, age and race for a natural looking selfie. Along with a 13MP rear camera, capturing moments will be fun and easy with multiple modes such as time-lapse, panorama and even expert mode for ultra-HD 42MP shots. All these features are seen through the 5.2” HD display and compact shell body that is easy to hold and carry around. In addition to value for money, the OPPO A71 2018 comes with a free pre-installed screen protector and transparent protection case. The smartphone also has all-around connectivity with dedicated dual-sim slot and microSD storage for expansion. This gesture is a standard in OPPO smartphones, ensuring that customer experience is on-top of mind in every aspect. Running on Color OS 3.2 under Android 7.1.1, the A71 2018 runs smooth with premium features like O-Share to transfer files from other OPPO smartphones in lightning speeds. Plus, with its battery efficient processor, the 3,000mAh battery can last for more than 12 hours. “We keep on pushing the industry by coming up with the best smartphone in every price point. We believe the A71 2018’s Qualcomm Snapdragon 450 processor and A.I. Beauty Technology will elevate the smartphone experience in the entry-level arena,” said Eason de Guzman, Public Relations Manager of OPPO Philippines. The OPPO A71 2018 will be available in all concept stores nationwide starting tomorrow. For more information, customers may visit https://www.oppo.com/ph/. They can also follow OPPO on Facebook via https://www.facebook.com/OPPOPH/ to see the latest updates and events from the brand.